When the Chain of Rocks Bridge was originally constructed, it was painted silver. The War Department ordered the olive drab paint job in 1942 to make the bridge less visible from the air. 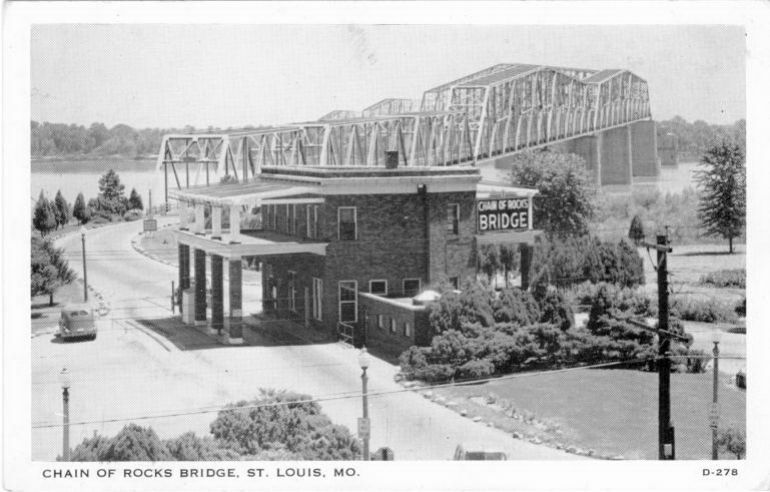 The bridge did not carry Route 66 until 1935, when construction of State Route 77 was completed across North St Louis County.